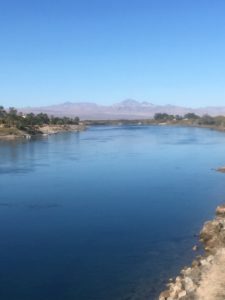 This is the mighty Colorado River. I sat in silence watching it go by me. Though the water was moving swiftly, it wasn’t making a sound that I could hear. He asked his audience, “How long is a minute?” While film was rolling, he took an egg timer and set it to a minute. He then proceeded to be quiet as the seconds ticked away. This was on TV where time is money and nothing was happening, or so one thought. Children’s programming had become so fast paced that reflection was being squeezed out. It is the same for adults. We have endless amounts of programming and entertainment at our literal fingertips. Maybe we should learn the lesson Rogers was attempting to teach children. Silence is OK. Silence is good. Time for both reflection and meditation are greatly encouraged in the Scriptures. Are we OK with being silent in our fast paced world? Or, are we afraid we might not like what we’ll see if we do? Our faith in what Jesus did makes us secure children of God (John 1:12), so there is nothing to fear from a little quiet reflection. Our faith in Jesus made us a somebody who can do something with the life the Father gave us (Eph. 2:10) and meditation can only help. We will not be fully like Jesus until we see Him face to face. So for now, a little bit of silent reflection will do us wonders until He finishes the job He started in us.